Our Team | JDH Corrosion Consultants, Inc. | Corrosion Control EngineersJDH Corrosion Consultants, Inc.
JDH Corrosion Consultants, Inc. consists of experienced and energetic engineers who have gained valuable experience working on many projects throughout the world. Our staff of engineers consists of licensed engineers in Corrosion, Civil and Electrical Engineering and NACE accreditation ranging from CP-1 through CP Specialist. Meet a few of our key engineers. 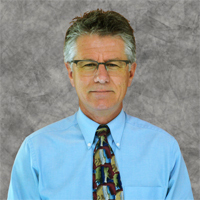 J Darby Howard, Jr, PE, is the president of JDH Corrosion Consultants, Inc. He is a licensed civil engineer and corrosion engineer in the state of California and a licensed Civil Engineer in Nevada. He has substantial experience in organizing and managing corrosion projects. Darby has over 35 years of experience in all phases of corrosion projects including design, engineering, manufacturing, research and development, construction inspection services, and construction management. He has successfully worked with clients in the fields of aerospace, marine, petroleum, chemical, mining and minerals, water & waste water treatment and transmission, electric power industry, transportation industry, municipalities and state and federal government agencies. Darby has established a proven track record managing and directing complex research and design projects, which require the coordination of strict budgets and demanding schedules with engineering staffs and project teams. RESUME: Click to download full resume. 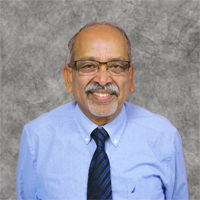 Mohammed Ali, P.E., is a principal corrosion engineer with JDH Corrosion Consultants, Inc. Mohammed is a licensed electrical engineer and corrosion engineer in the state of California. He is also accredited by NACE as a Corrosion, Cathodic Protection, Coatings and Material Selection Specialist and is also a qualified NACE Instructor. Mohammed is an accomplished technical manager in corrosion engineering and related areas. 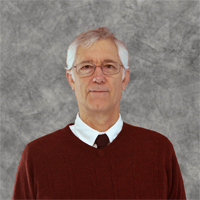 He has over 37 years of experience in providing technical consulting services to petrochemical, oil and gas, power generation, municipal works and water and wastewater industries. His major area of specialization is in cathodic protection. Tom Herink is a corrosion design specialist with JDH Corrosion Consultants, Inc. Tom has a Materials Engineering degree from Virginia Polytechnic Institute and is accredited by NACE as a Cathodic Protection Technologist (CP3). He has been involved with corrosion engineering for 20 years with an emphasis in designing galvanic and impressed current cathodic protection systems for onsite water utilities, water storage tanks, and water and waste water pipelines. As chief designer, Tom also heads the company’s AutoCad department. 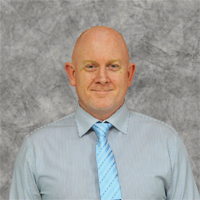 Sean Carey is the Operations Manager for JDH Corrosion and he has over 12 years of experience in managing corrosion projects including the design and field testing of cathodic protection systems. He has conducted numerous condition assessments of existing steel and concrete storage and process tanks and process piping in water and wastewater treatment systems. He has assisted water agencies with cathodic protection data management, including coordination of cathodic protection system data with existing agency GIS systems. Sean Carey is an AWWA and NACE member, and he is accredited by NACE as a Cathodic Protection Technician (CP2) and Coating Inspector (CIP1). 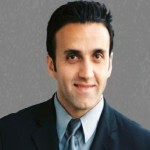 David Kashifi has over 22 years of industry experience. Recognized as having the unique ability to successfully oversee turnkey corrosion engineering projects on both a small and large scale. He is exceptional at communicating with many diverse types of people from a wide range of disciplines. Excellent sales and public relation skills. Positive attitude and personality. Works well under pressure to meet deadlines in a timely manner. David is a Cal Poly, San Luis Obispo graduate in Civil Engineering, and he is accredited by NACE as a Cathodic Protection Specialist (CP Level-4) and a NACE Coating Inspector (CIP Level-1). 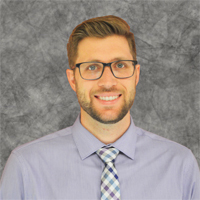 Jared Whalen, P.E., is a project engineer with JDH Corrosion consultants, Inc. Jared is a newly minted licensed civil engineer in the states of California, Utah and Arizona. He is also accredited by NACE as a Cathodic Protection Technologist (CP3) and a NACE Coating Inspector Level 1. 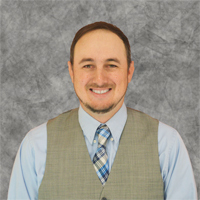 Jared is experienced in galvanic and impressed current cathodic protection system designs, performing corrosion evaluation assessments, and supervising construction of cathodic protection systems. 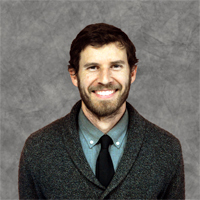 Brandon Olson is a project engineer with JDH Corrosion Consultants, Inc. He is a Civil Engineering graduate from California State University, Sacramento’s engineering program. Brandon gained valuable experience in the water industry while working as an intern for the Department of Water Resources in Sacramento. He has passed his E.I.T. and is working toward becoming a licensed Civil Engineer. Brandon is accredited by NACE as a Cathodic Protection Technician (CP2). 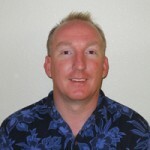 Brendon Hurley is a corrosion technician with JDH Corrosion Consultants, Inc. He is accomplished in conducting basic surveys of cathodic protection systems including troubleshooting rectifier problems, performing soil corrosivity surveys, conducting pipe-to-soil potential surveys and GPS surveys. Brendon also belongs to NACE. Chris Lisson is a Corrosion/Computer technician with JDH Corrosion Consultants, Inc. He is accomplished in electronic assembly and repairs, conducting basic surveys of cathodic protection systems including troubleshooting and repairing rectifiers, performing soil corrosivity surveys, and conducting pipe-to-soil potential surveys and GPS surveys. 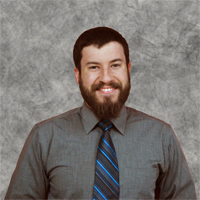 Chris specializes in the design and maintenance of remote monitoring systems, electronics design for power supplies, software and firmware programming in multiple languages. He can design IR drop free solar powered cathodic protection systems. Chris also belongs to NACE. J.D. 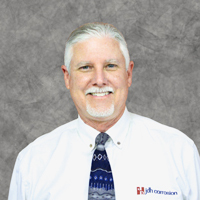 Howard, III, is a corrosion specialist with JDH Corrosion Consultants, Inc. He is experienced in conducting surveys of cathodic protection systems including troubleshooting rectifier problems, performing soil corrosivity surveys, conducting pipe-to-soil potential surveys, current requirement and continuity surveys, and GPS surveys. JD also specializes in performing site corrosivity assessments for solar array sites for both soil and atmospheric exposure and in determining the corrosion rates for various types of metals for these sites. He is very accomplished in conducting condition surveys for reinforced concrete structures for water and wastewater facilities as well as for parking garages and he is experienced in performing half-cell mapping surveys for reinforced concrete structures. JD is a licensed attorney and a member of the California Bar Association and is also an active member of NACE. William Howard is a Jr. Corrosion Specialist with JDH Corrosion Consultants, Inc. He has experience in conducting basic surveys of cathodic protection systems including troubleshooting rectifier problems, performing soil corrosivity surveys, conducting pipe-to-soil potential surveys and GPS surveys. William is experienced in preparing AutoCAD drawings and design documents for both galvanic and impressed current cathodic protection systems. He is accomplished at performing corrosion evaluation assessments, performing half-cell mapping surveys for reinforced concrete structures and preparing corrosion evaluation and soil corrosivity reports. William is accredited by NACE as a Cathodic Protection Technician (CP2). 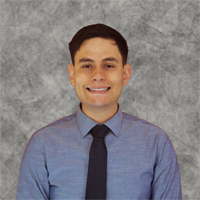 Sergio Maciel, P.E., is currently a project engineer with JDH Corrosion Consultants, Inc. He has extensive knowledge of the corrosion process in the water and waste water industry and ways to mitigate it. Sergio studied chemical engineering at UC Davis and is a licensed chemical engineer in the state of California. He also holds NACE CIP 1 and NACE CP1 certifications. He is involved in providing cathodic protection field services such as monitoring rectifiers, performing soil corrosivity tests, and performing surveys of pipeline, reservoir and tank cathodic protection systems. Sergio is involved with the local San Francisco Bay Area NACE section. When Sergio is not thinking about corrosion he’s usually at the gym, working on home renovations, or traveling to exotic countries.